When I was an idealistic and invincible 17 year old girl Cancer took my Grampa. It wasn’t kind. It wasn’t quick. And an idealistic and invincible outlook showed its first cracks in my young life. Since that long-ago day, loved ones and friends have battled and beaten and succumbed to the many-faceted nuances of this one illness. Even as you’re reading here, you’re considering your beloved Others — you know what it is to say goodbye too soon. And you know that the path of surviving Cancer, and the journey in battling it, is marked by small miracles and big complications. Tiny steps forward, massive set-backs, remissions, recurrences. And everywhere the expertise of researchers, the kindness of professionals, the strong arms and soft shoulders of those who have walked that way before. 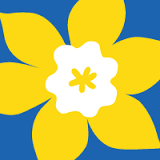 As one of our benefiting charities, the Canadian Cancer Society is on the receiving end of many such miracles. Every time a purposeful donor donates their faithful ol’ scrapper, or their worn out RV — a boat that’s not sure it wants to float, or a motorcycle that’s ready to putter just one last time — the CCS benefits with the recycle donation outcome that our coast-to-coast agents are at the ready to provide. One hundred dollars here, fifty dollars there; thirty dollars here, two hundred fifty dollars there. Since the charity joined our program they have been the worthy recipient of over $100,000.00. Small gifts add up to big benefits! Sometimes the miracle, the kindness, the soft shoulders bring a much bigger return! Like the ’94 Suzuki Sidekick that was donated in Richmond just this Spring: we assumed she was recycle-ready (the tires were flat, and she was almost 20 years old after all! ), but the mileage was low and the engine still ticking, so we sent her to auction instead. That paid off in a big way! A strong showing at auction led to a donation of $3100.75 being sent to the Canadian Cancer Society, our donor’s charity of choice. My own invincibility has long been laid aside, but working alongside the team here at Donate a Car, talking daily with inspiring donors, and serving our hard working charities with diligent and heartfelt effort (we so want to see the best dollar outcome we can on every single donation!) is helping to keep the spark of idealism lit. Big gifts and small, every one makes a difference and we thank you for your part in making lasting change. 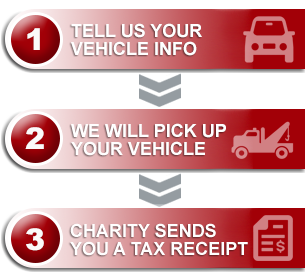 Consider donating your vehicle to the Canadian Cancer Society or one of our other listed charities today.